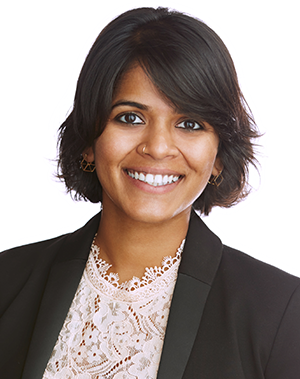 Vidya Venugopal is an Associate in the Land Use and Environmental Law Practice groups. Her experience includes permitting, compliance, enforcement and litigation relating to the California Environmental Quality Act, Clean Air Act, Clean Water Act, Comprehensive Environmental Response, Compensation, and Liability Act, and Proposition 65. Vidya has assisted in the representation of clients on issues relating to air quality, climate change, crisis response and release reporting. She has also provided support in the representation of clients in agency rulemakings at all stages, including filing petitions in court based on the outcome of the rulemaking. Vidya has negotiated settlements for Proposition 65 claims, both in and out of court. Prior to joining Meyers Nave, Vidya worked in the Los Angeles and Washington, D.C. offices of two multinational law firms assisting clients with various environmental law and regulatory matters. Vidya began her legal career as an Associate at AKS Law Associates, where she advocated on behalf of an individual litigant in a public interest case against the Municipal Corporation of Bangalore for implementation of efficient solid waste management resulting in the eventual enactment of the Bruhat Bengaluru Mahanagara Palike Solid Waste Management By-laws 2016. She also provided transactional advice and dispute resolution services to local and international clients pertaining to real estate claims against the government, electricity Board suits, debt recovery, industrial disputes, copyright infringement and shareholder agreement actions. Vidya’s pro bono work in the U.S. includes representing clients in adoption cases and advising animal shelters in California. In India, she worked on a case before the High Court of Karnataka regarding the rights of incarcerated defendants to timely trial, access to adequate facilities and voting, as well as a case regarding amendments to Section 66A of the Information Technology Act, 2000 (powers of the police to arrest and detain under the Act).